Thank you to Moses Lake Presbyterian for the Christmas shoebox gifts! 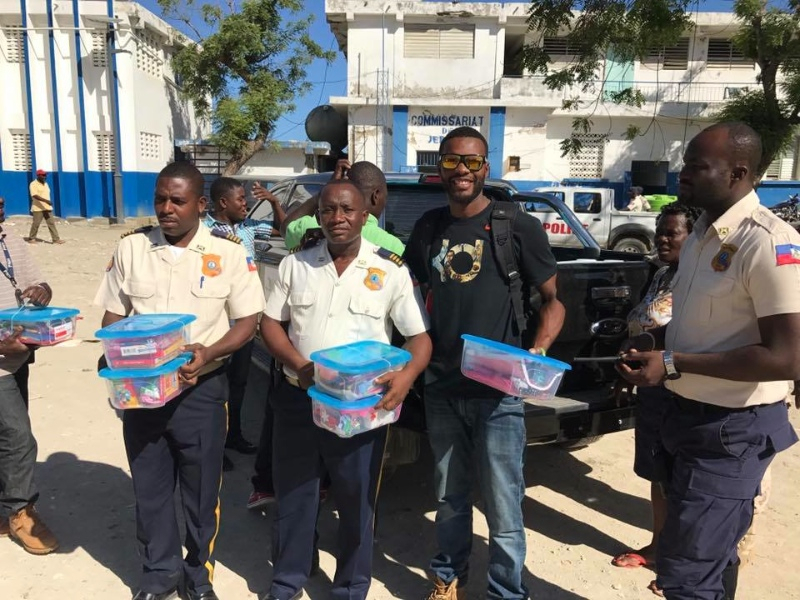 We have had the privilege to give the gifts to all of our churches, police department, Chambellan orphanage, Te Wouj School and many other places. They have been a huge blessing to so many kids in our area, especially since the Hurricane has destroyed so much in these kids' lives over the past months. These simple gifts sure brought a smile to many faces over the past month, including ours! Thank you to all who have supported, prayed and served with us in 2016. It has been a year that has been full of surprises, and Hurricane Matthew has been a big part of that, but with your help and God's blessing, we are growing and learning and rebuilding. Please continue to pray for our missionaries and staff going into 2017. The Germeils are going into their sabbatical time over the next few weeks, and they will be away from phones and contacts, taking time to recharge, rest and spend extra time together. We appreciate your prayers for their month of rest and revitalization. The Stockelands are currently in the States as well to visit family, speak at several churches and fundraise. The Stones are headed back to Haiti in the next week, as more relief groups are beginning to come. We appreciate your prayers for each of our missionaries as they team up to serve!